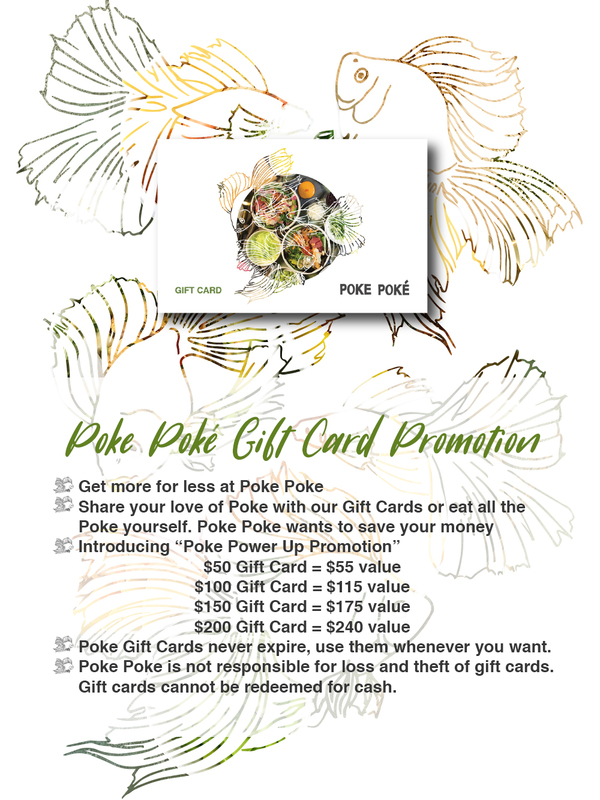 Get more for less at Poke Poké with our gift cards. Create your own unique poké bowl with your choice of healthy base, fresh seafood and savory sauces. Enjoy fresh bowl of pokÉ without leaving your doorsteps. let us deliver a savory meal to you. Please call us or look for us on GRUBHUB, UBEREATS, CHOWBUS, RICEPO and RITUAL. For more information please go to our delivery page.